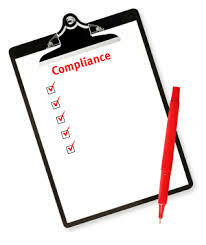 On January 23, 2014, the NCUA Board issued a proposed rule regarding risk-based capital for credit unions. The proposed rule would make a number of revisions to NCUA regulations regarding Prompt Corrective Action (PCA) including replacement of the agency’s current risk-based net worth (RBNW) requirements with new risk-based capital requirements for federally insured “natural person” credit unions with over $50 million in assets. The proposed rule would also revise the risk-weights for many of NCUA’s current asset classifications and require higher minimum levels of capital for federally insured natural person credit unions with concentrations of assets in real estate loans, member business loans (MBLs) or higher levels of delinquent loans. Finally, the proposed rule would set forth a process where NCUA could require an individual federally insured natural person credit union to hold higher levels of risk-based capital based on supervisory concerns raised by NCUA examiners. Credit unions should fully understand the proposal’s near-and long-term implications to their operations. Credit unions should be planning now to develop well-written comment letters to file with NCUA by the May 28 comment deadline, reflecting their own concerns about their specific situations. To view all the new 2013 mortgage rules and related implementation materials, visit the CFPB’s regulatory implementation webpage.